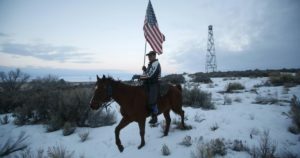 Frontline investigates how the Bundy family’s fight against the government invigorated armed militias and “patriot” groups. The film goes inside the family’s standoffs over land in the West, and examines how groups aligned with them have grown to levels not seen in decades. On CPTV: Tuesday, May 16 at 11 p.m.
For more information, visit the Frontline website.